Are you going through a time of change in your life? How does God want you to view this change? Consider your life like a story that God is writing, one sentence at a time. This time of change is one of the sentences in your story. Sentences are written with punctuation marks, and each punctuation mark has a different meaning. If God were punctuating this time of change in your life what punctuation mark would He use? God would not use a period. A period would leave you with the sense that you were at the end. This could lead you into despair and discouragement. Your life is not over just because you are going through change, no matter how great that change may be. God promises you hope and a future. God would not use a question mark. A question mark would leave you with the sense of uncertainty. Uncertainty would be the doorway that leads you into worry. God does not want you to worry about the change you are going through or worry about what is ahead. God has promised to take care of you and He has told not to be anxious about your life. God would not use an exclamation point. An exclamation point would leave you with a sense of high emotion. Exclamations points have been called “screamers” or “gaspers.” These are the things that would lead you into panic and fear. 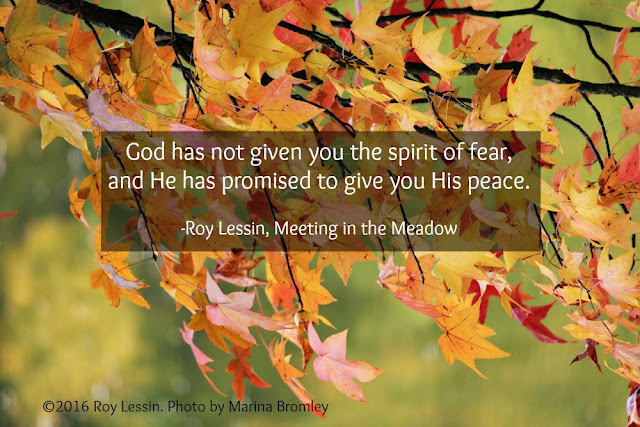 God has not given you the spirit of fear, and He has promised to give you His peace. Since God would not use a period, a question mark, or an exclamation point, which form of punctuation would He use? God would use a comma. The reason God would use a comma to punctuate a time of change is because a comma means a brief pause. A comma lets you know that the sentence has not come to an end. A comma says that after the brief pause, something else will follow. God wants you to know that there is something ahead that He has planned for you.